Welcome to Hillsmere Shores! Being new to the neighborhood, you probably have questions. Hopefully, your new neighbors have welcomed you and answered some of your questions. 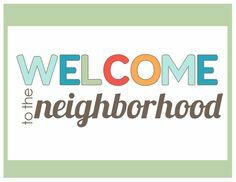 We would like to properly welcome you, too - please contact the Welcoming Committee (welcome@hillsmereshores.net) with your information, and you will receive a welcome bag, packed with information about your new neighborhood and the surrounding area. As a new resident, it is important that you read and are familiar with Hillsmere Shores Improvement Association (HSIA) Covenants & Rules, as well as our Bylaws & Charter. Is your new home not quite your "dream home"? Do you have plans to renovate? Be sure to review HSIA Building Permit information prior to starting any projects! Something all residents need is an automobile decal, issued annually by the HSIA. A current decal is required to access the beach and marina parking lots. While there is no fee for a automobile decal, all residents are required to present documentation for each decal requested. In order to obtain stickers, please photo copy your current vehicle registration(s) (one (1) registration for each sticker request), complete an HSIA Membership form (even if you are not paying dues), and mail to HSIA, P.O. Box 3485, Annapolis, MD 21403. You may black out all information except Tag Number, Make/Model, Expiration Date, Name, and Address. We will send you one (1) sticker for each one (1) photocopied, current vehicle/trailer registration submitted. All registrations are required to show a Hillsmere address. If you have just moved in, and your vehicle registrations do not yet match your Hillsmere address, please include a note that you are a new resident and we will waive the photo copied registration requirement for your first sticker request. Please make sure you indicate on the Membership form how many stickers are needed. Hillsmere Shores is a Special Community Benefit District (SCBD). This means we are a geographic area in which the residents have decided to tax themselves to pay the cost of certain designated purposes. Special Community Benefit Assessment is the name of the tax that is imposed on the property owners within the SCBD. The SCBD budget is shared annually with all property owners, and is available online. The tax is administered by the County in the same manner as the County real property tax. The County collects the annual assessment (currently $249./per lot), from every lot owner and turns it over to the community to be used for the common areas. HSIA reports annually on the spending of the tax money to the County. For this reason, Hillsmere Shores Improvement Association annual dues are voluntary, not mandatory. The only time HSIA dues become mandatory is when a resident desires further amenities, such as a marina boat slip, placement on any piers & harbor wait list(s), a boat ramp key, pool membership, etc. In order for any resident to access these additional amenities, the $20 HSIA annual dues becomes mandatory, along with the amenity fee(s). HSIA encourages all residents to join the HSIA, as each dues payment gives the household one (1) voting right in the Association. If you would like to join the HSIA, please visit our membership page, where you may view the required supporting documents, and download a 2018 HSIA Membership form. Have you seen the community newsletter, the Sea Breeze? Residents may receive the newsletter via emailed link and/or postal mail. HSIA uses Special Tax dollars to print and mail the Sea Breeze, so residents receive the Sea Breeze through the postal mail at no additional charge. Click here to sign up! Still have questions? Please visit our FAQ & Local Resources pages! You may also contact HSIA's administrator by emailing admin@hillsmereshores.net, or calling HSIA's 24-hour voicemail, 410-263-4456.